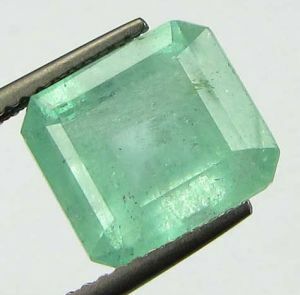 Clarity:Transparent with many natural inclusions. 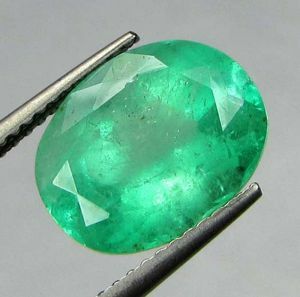 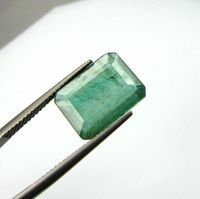 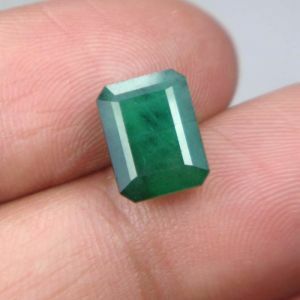 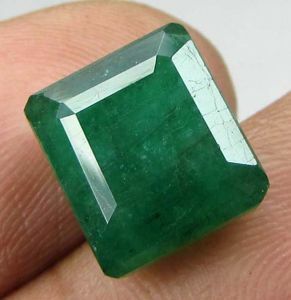 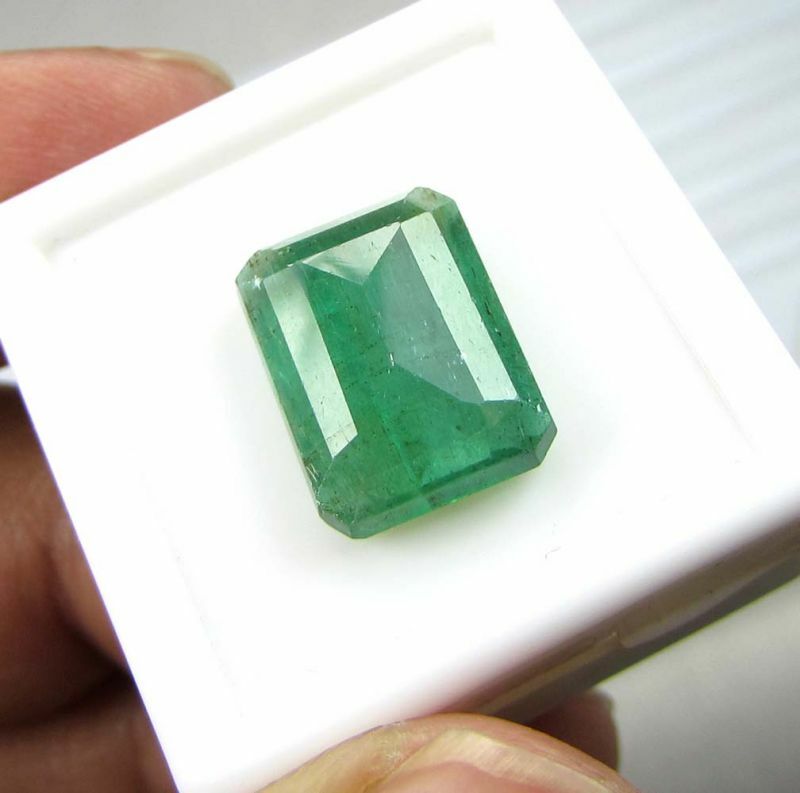 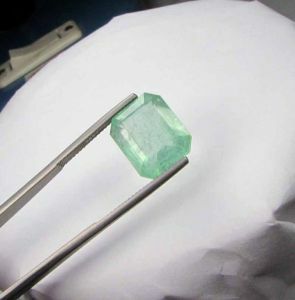 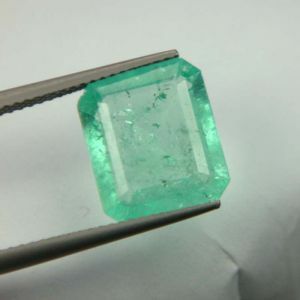 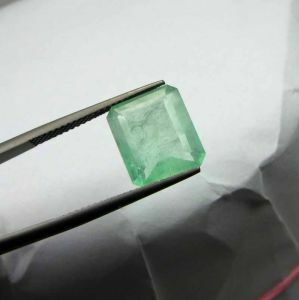 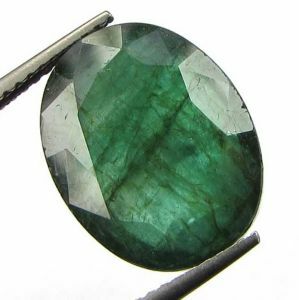 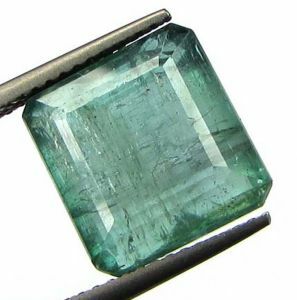 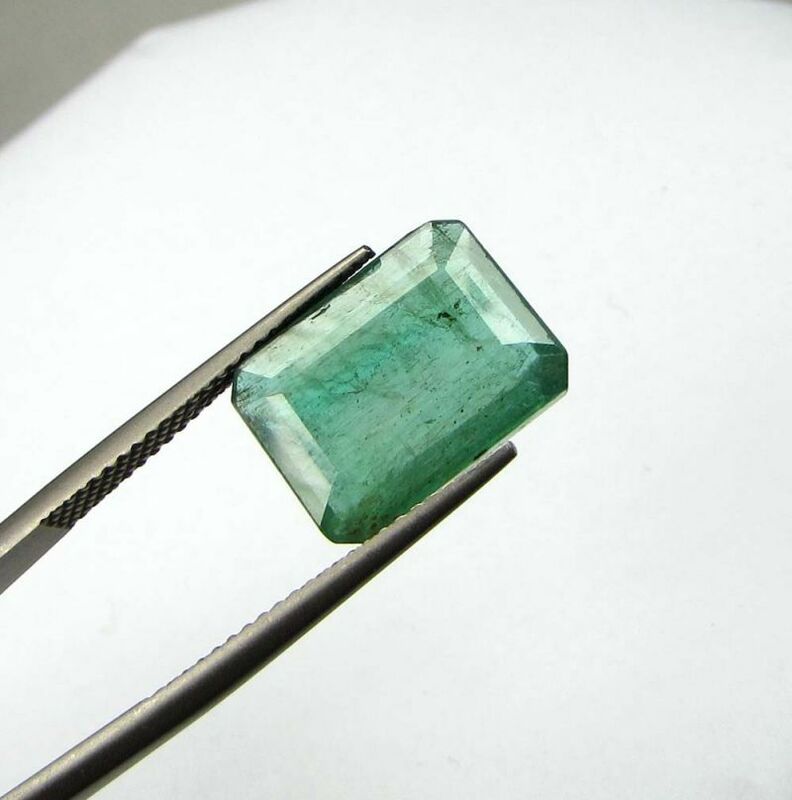 This is 100% Natural Emerald(Panna in Hindi).The Emerald is certified by JTL testing lab. 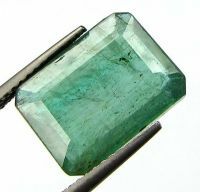 It is rare to find a retailer offering gemstone jewelry with complimentary gemstone certification.Certification gives the buyer the assurance that what they are buying is the real thing. 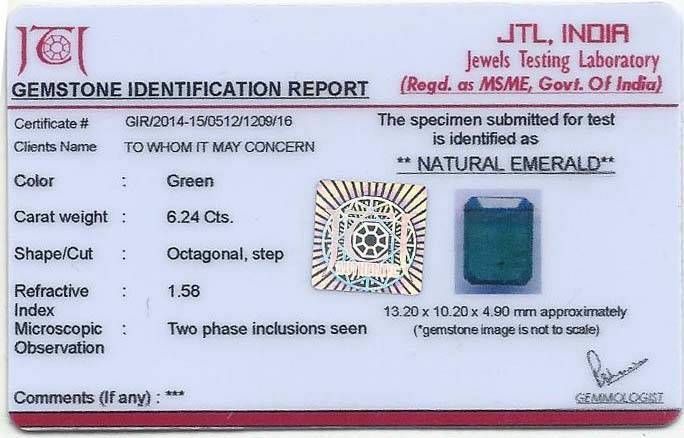 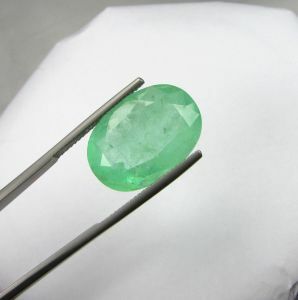 Please kindly refer the picture,it is of the same emerald which is up for sell.